When it comes to broadcast news, one thing is always constant… weather. It drives viewership, creates personalities and always occurs, thanks to nature. Similarly, weather solutions for broadcast are always evolving, from adding augmented reality to enhancing mapping data, giving meteorologists the best possible storytelling tools on-air. 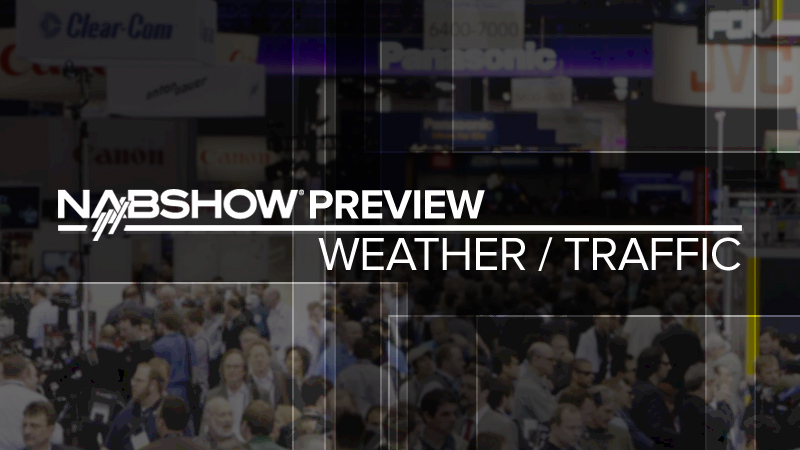 Last year saw IBM purchase The Weather Company, with the results appearing during this years NAB Show. AccuWeather and Baron are also both stepping up their weather tools, with new systems slated to be on full display next week. South Hall (Lower) – SL4605 – Bringing IP to the world of weather cameras, Weather Metrics demonstrate WeatherVisionHD.